After almost a year break following the tragic loss of my friend and bassist Kirk to suicide, I am back on stage with Binghamton Classic Rock Band Burning Moonlight. Visit the LIVE SHOWS page for dates. 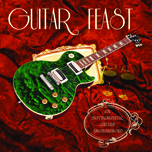 Guitar Feast CD!!! - Click Here to Get Your Copy Now! 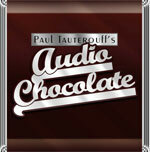 Audio Chocolate Digital Download - click here! Endorsements Page Added to Site! Added an Endorsements Page to the site. I am proud to be endorsing Morley Pedals, Guitar Pro 6 and Pedaltrain pedal boards! New Live Radio Interview Posted!! New video up of me jamming the blues with John Magee CLICK HERE! Attention: Guitar Teachers - Looking for an easy way to create great-looking handouts for your students? Check out The Guitar Teacher's Toolkit!